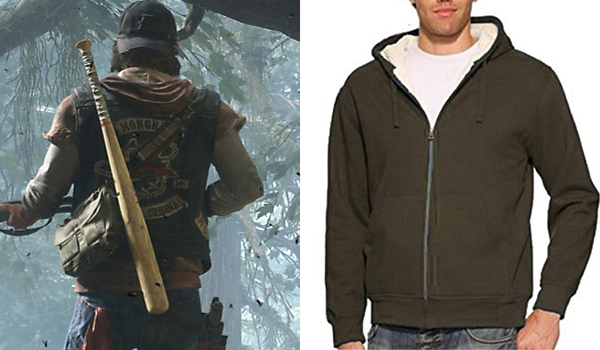 Deacon St. John is the player controlled protagonist in Days Gone. A game set in a post-apocalyptic Pacific Northwest. 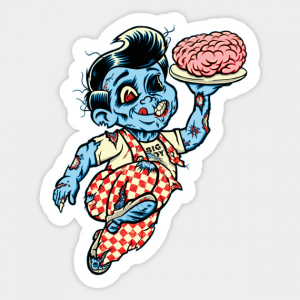 Deacon is a former outlaw-turned drifter and bounty hunter who's searching a reason to live. 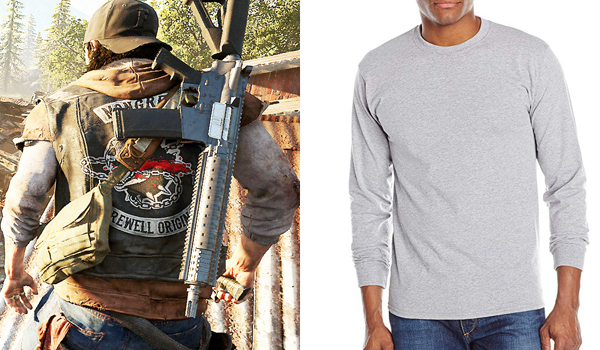 If you're looking for a costume guide to dress or cosplay like Deacon St. John in Days Gone check out our complete guide below. 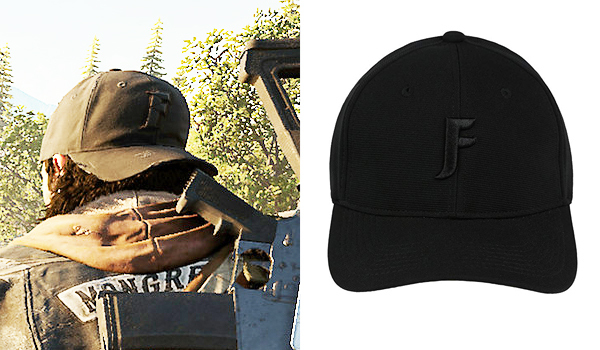 The hat that Deacon St. John wears in Days Gone is a black cap with a 3D "F" and "Farewell" embroided on the back. 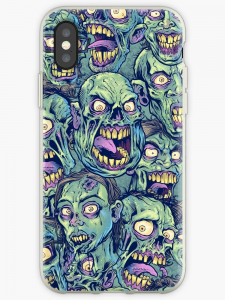 A replica is available on Amazon. The Jerzees long sleeve shirt is inexpensive and is the best color match we could find. This hoodie is an affordable close match. We recommend you cut the sleeves lower than expected and then adjust depending on how it fits you. Deacon St John wears it open and stitched a cross just above the pockets. 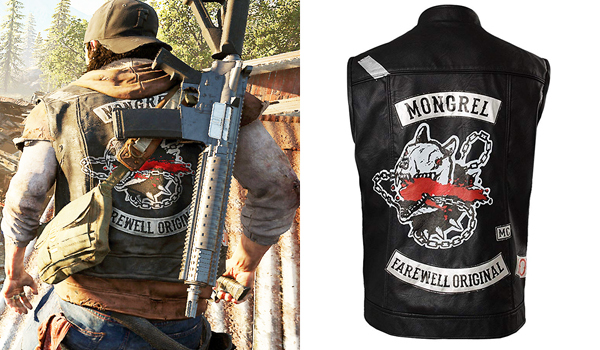 The jacket that Deacon St. John wears in Days Gone is a black motorcycle leather jacket with a lot of patches. 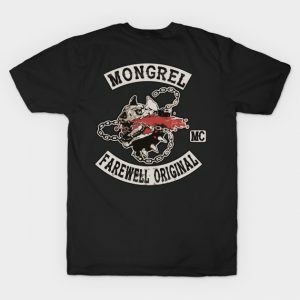 Depending on your budget, you can get the replica or do it your self by sewing the patches to a quality motorcycle jacket (recommended). The jeans that Deacon St. John wears in Days Gone are straight fit blue jeans. You probably own a pair already, but if you don't these Lee jeans are a close match. 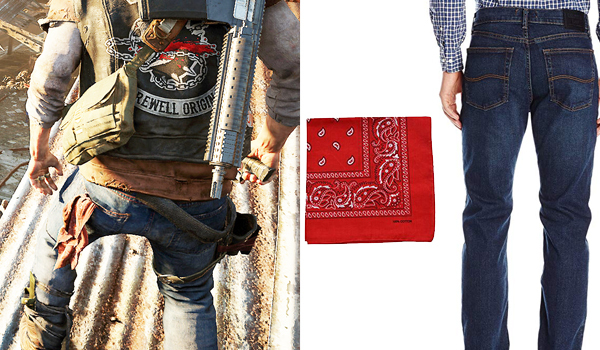 Also, don't forget the red bandana on the left pocket. 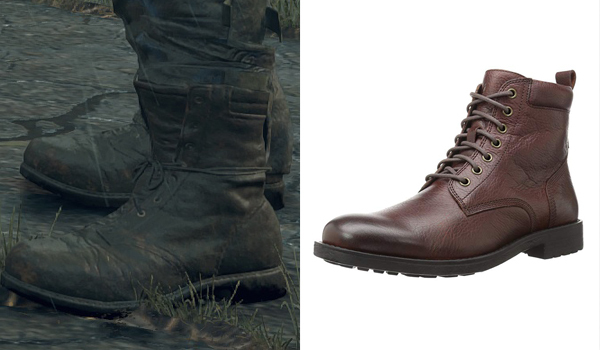 The shoes that Deacon St. John wears in Days Gone are brown leather boots. 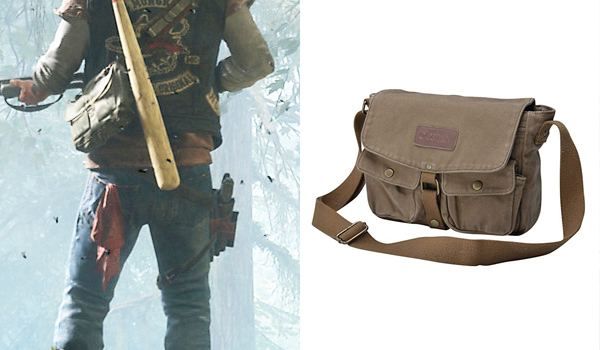 The bag that Deacon St. John uses in Days Gone is a small army green messenger bag. Get rid of the branding by un-stitching it and the Gootium military satchel is a great lookalike ! 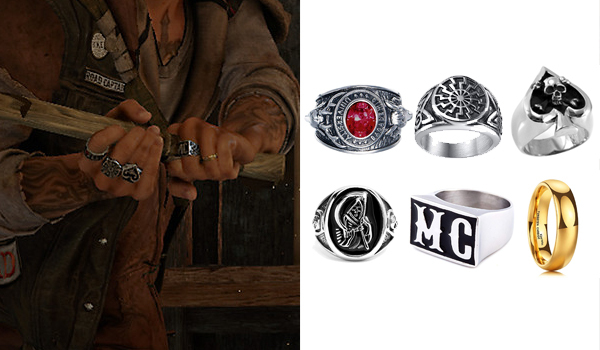 Deacon St. John wears 6 different rings in Days Gone. They're all in silver except a wedding ring that's gold. Obviously you won't find the exact same rings but here's a selection of the most resembling.